The cost of building the Parthenon was 469 silver talents, or about £5.6m. Today we look at the wages paid to oarsmen on warships in ancient Athens in 450BC. I bet you’ve never read a Money Morning that began like that before. Why on earth would I want to do such a thing? In The Economy of Ancient Greece, historian Darel Engen describes how the Athenian unit of money – the talent (about 26kg of silver) – could purchase nine years of a skilled man’s labour. If we assume 250 working days in a year, that works out at about 11.5g of silver per day – a little under 0.3 of a troy ounce. A kilo of silver today is about £460, so nine years’ skilled labour would amount to about £12,000 in today’s money. That makes a year’s skilled labour about £1,333, and a day’s £5.29. Fast forward to today. The average wage in the UK construction industry, which I’ll use as an equivalent, is about £30,000 per annum, or £120 per day. It seems that today’s British labourer is earning considerably more than his ancient Athenian counterpart. We must, however, factor taxation into our calculations in order to appreciate what the worker actually took home with him. Enlightened souls that they were, there was no direct taxation on income in ancient Greece. The large part of the expenses of the city were shouldered by the rich, who made their donations voluntarily – sort of – through the system of liturgy. In the UK today, on the other hand, somewhere between 40% and 55% of the average worker’s income is taken, one way or the other, to pay for the state, depending on whose figures you use (and that’s before you factor in inflation taxes). For the sake of simplicity, let’s use a 40% figure and go with an after-tax income of £72 per day – or £18,000 per annum. So even after taxes, the modern labourer would seem to be earning considerably more than the ancient – over ten times as much. As Greece was the most advanced civilisation in 450BC, perhaps we should only be comparing it to the developed world. But even if we factor in less developed nations, the modern worker appears to be earning more than the ancient. Globally, according to the United Nations International Labour Organisation (ILO), the average salary is $18,000 – say £14,000, or £56 per day. That would be £34 after 40% taxes. An Athenian warship, the trireme, cost about a talent to build (£12,000). A trireme’s unskilled oarsman would be paid 4.3g of silver each per day (£2). 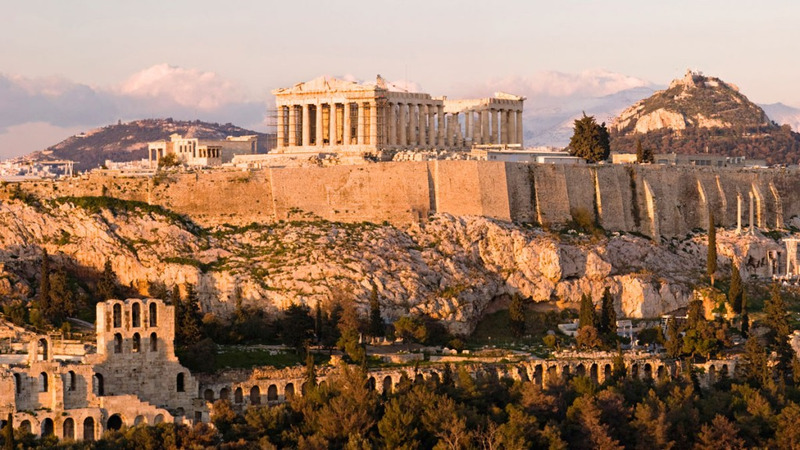 The cost of building the Parthenon was 469 talents, according to Professor Thomas Sakoulas. That works out, according to my maths (469 x 26 x 460) at about £5.6m. The cost of building the Shard, by way of comparison, seems to have been around £435m. To compare modern and ancient prices might seem like a ridiculous and redundant exercise – the two worlds are so different – but there is a point to all this. Measured in silver, salaries actually remained fairly constant until the 20th century. The Babylonian worker might have been looking at 2g of silver (92p). The Roman unskilled worker, like the Greek, might have been on around 4.2gs of silver, at least until Romans started chipping their coins. The wages of the medieval English worker seemed to have fallen back towards Babylonian levels by 1300. He got 2.8g, while a skilled city craftsman might have expected 5.6g – about half what an Athenian was paid. That would grow, however, over the next 500 years, until by the 19thcentury the skilled labourer might be looking at around 24g of silver per day, according to author David Zucherman, and an unskilled between a third and half that. The labourer in the 19th century was getting around double the pay of his 450BC Athenian counterpart. It’s more, but it’s not that much more. Compare that to today. I used the figure of £30,000 earlier – the average wage of a construction worker – £120 per day. That amounts to 260g of silver, compared to 11.5g for that Athenian worker. Today’s pay dwarfs that of any pre-20th century worker in history. Wages have risen, of course they have – but not by this much relative to the cost of living, status and so on within a society. If today’s wages of £120 were to equal the Athenian equivalent of 11.5g (say 12g for simplicity’s sake), you could make the argument that silvershould be £10 per gramme (currently 46p per gramme). That’s over 20 times higher than today’s silver price of $18.50 an ounce – more like $400 per ounce. At $400 per ounce, not only do wages correspond, but so does the cost of building a ship or a landmark city building. One day we will get some kind of silver reversion to its historical mean. Does that mean we should all go out and buy shedloads of silver with the expectation of making 20 times our money? Not really. That day of historical mean reversion probably won’t come in our lifetime and most of us invest within three to five year time frames. But you should all own a little bit, just in case it does.